The Cubs scored 3 runs in the bottom of the 7th powered by former Phoenix Mountain Pointe High School standout Joe Mather’s three-run homer, to beat the Reds 8-6 in front of 9,198 sun drenched fans. The Cubs stormed out of the gate today, attacking Reds starting pitcher Bronson Arroyo, in fact 6 of the first 7 Cubs batters got hits. 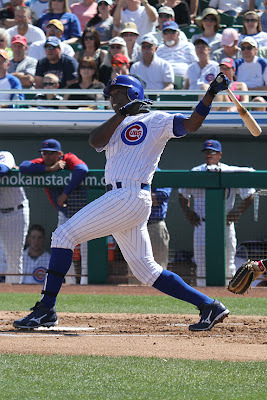 There wasn’t a bloop or infield single among them, the big blow was Alfonso Soriano’s 4th home run of the spring. Brett Jackson was starting in RF and batting lead-off. He hit a single to open the game but was thrown out trying to stretch it into a double. I really like how the Cubs are being aggressive on the base-paths, even if it hasn’t always worked so far. Soriano’s 2-run blast went over the scoreboard or hit the very top, it was hard for me to tell from my angle, but it was still sailing strong at that point. My guess is it would have been somewhere close to 440-450 feet. 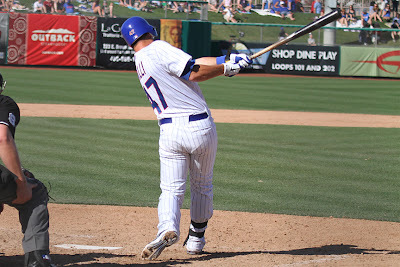 Besides Soriano and Mather’s home runs, catcher Blake Lalli hit an insurance solo shot for the Cubs in the 8th. Ian Stewart chipped in with an RBI double. The former Cardinal and Brave outfielder Joe Mather is making a strong case for the final outfield spot showing fine athletic ability, some speed (leads team with 3 stolen bases), and power. 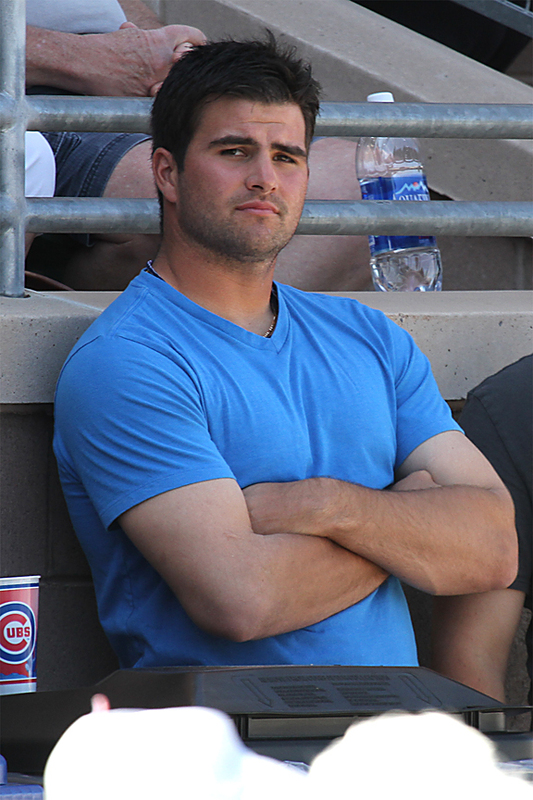 Paul Maholm made his first Cactus League appearance for the Cubs, allowing 1 run off 2 hits in 2 innings. Jeff Samardzija took over for Maholm and went 3 innings giving up 2 runs on 2 hits, however he retired the last 8 batters he faced, in order. Carlos Marmol had another tough outing, failing to protect the Cubs 4-3 lead in the 7th, allowing 3 runs on 2 hits, along with 2 walks, and a hit batter in his one inning. I’ll use the same refrain as I did in an earlier blog after Marmol’s first difficult performance – he’s working on specific pitches, and it’s still early in the spring. So don’t read to much into this outing. 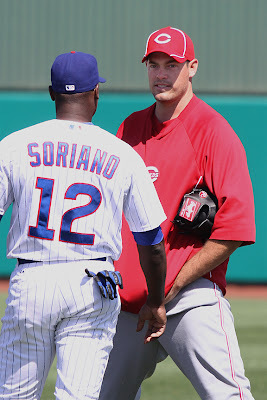 Kerry Wood and Marcos Mateo finished the game each tossing a scoreless inning. It was interesting watching the radar guns, as both Samardzija and Wood were routinely hitting the mid 90s. Other game notes, Bryan LaHair made a nice play to tag Brandon Phillips on a difficult throw that would have been a double play – unfortunately the umpire disagreed. LaHair made it known that he tagged Phillips on the way by. Former Cub Sean Marshall tossed a 1-2-3 shutout inning for the Reds, with 2 Ks. 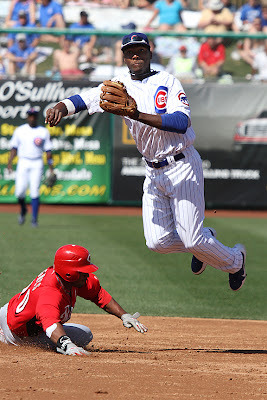 Bobby Scales made a nice diving catch of a Ryan Ludwick liner in the 7th to help Kerry Wood’s effort. Blake DeWitt lost his grip and bat from his hands on a swing that made his teammates on the dugout steps quickly dive for cover to avoid the flying lumber. 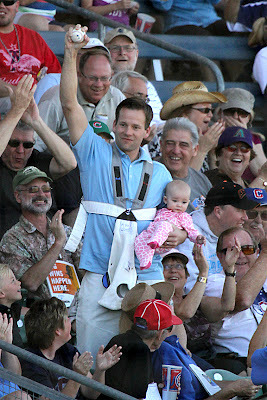 Alfredo Amezaga hit a liner foul into the stands that a fan snagged bare-handed while holding his infant child in the other arm. 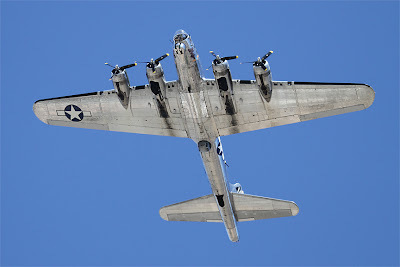 We had a flyover as part of our pre-game ceremonies, only it wasn’t the typical jets screaming past, it was a rare World War II B-17 flying fortress named “Sentimental Journey.” The plane is based at Mesa’s Falcon Field at the Air force Museum, you can actually take a flight in the flying fortress, check it out here. In the “you decide if it’s good or bad” department, today we had the first Ronnie Woo Woo sighting of the season. 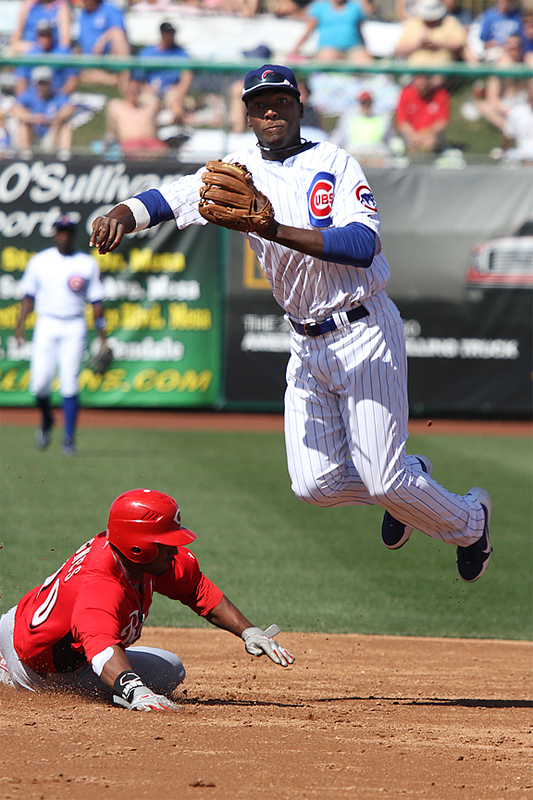 Just a note, our Boys of Spring – Best Cubs Sites Awards (BOS-BCS) will be presented next week on March 22nd. 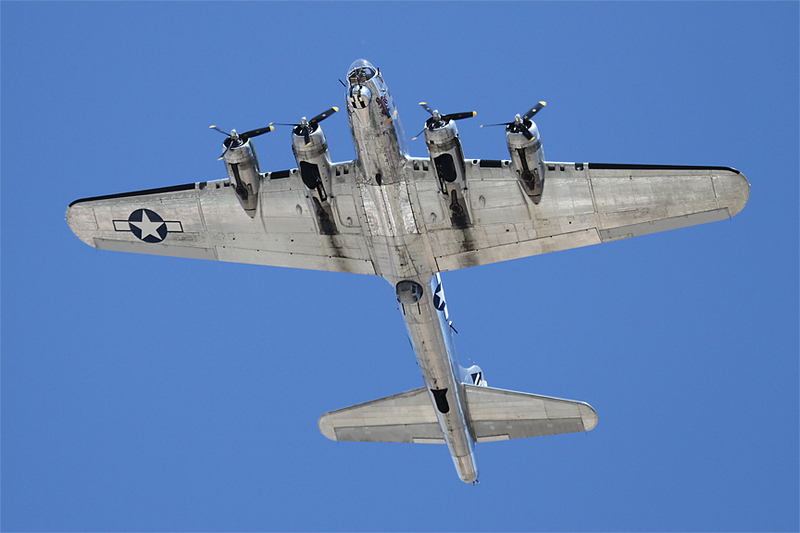 Photos by BOS’s John Antonoff. Can you name this Cubs Minor league player at today’s game? Pitchers and catchers had their official first workout of spring camp today. 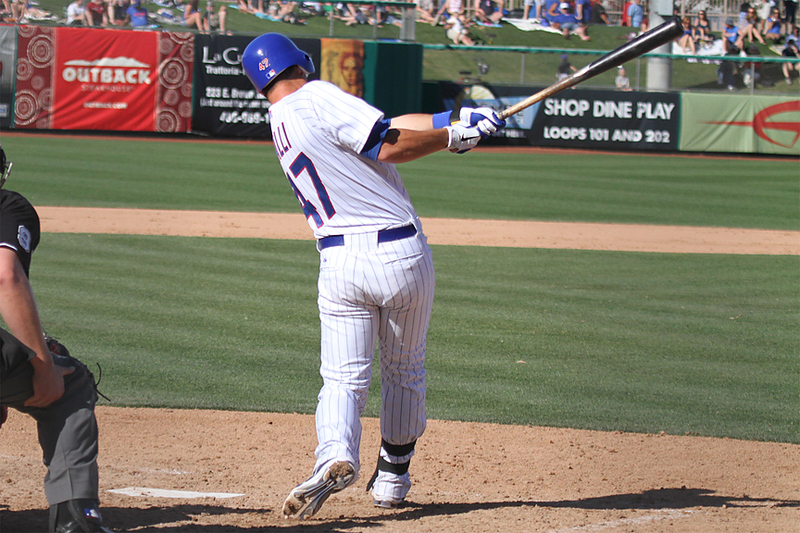 Here are some of my photos from Cubs Park in Mesa.